Charleston's name is derived from Charles Towne, named after King Charles II of England. In 1690, Charleston was the fifth largest city in North America and remained among the ten largest cities in the United States through the 1840 census. Charleston is known as The Holy City due to the prominence of churches on the low-rise cityscape, and for the fact that it was one of the few cities in the original thirteen colonies to provide religious tolerance to the French Huguenot Church. In fact, it is still the only city in the U.S. with such a church. 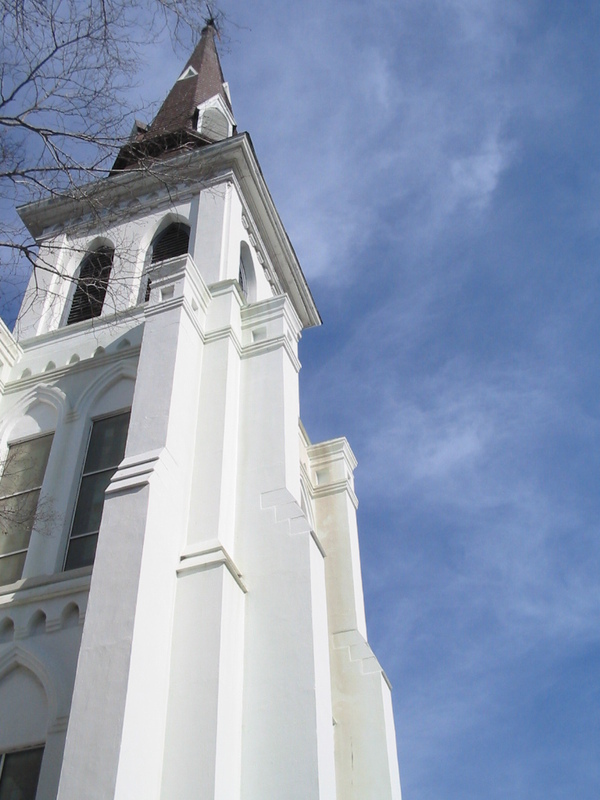 Charleston was also one of the first colonial cities to allow Jews to practice their faith without restriction. After Charles II of England was restored to the British throne, following Oliver Cromwell's Protectorate, he granted the chartered Carolina territory to eight of his loyal friends, known as the Lords Proprietors, in 1663. It took seven years before the Lords could arrange for settlement, the first being that of Charles Town. 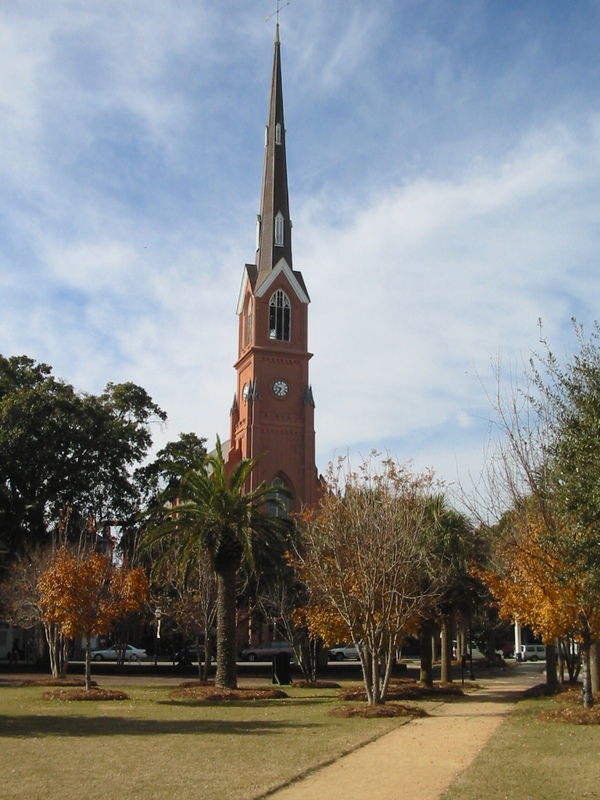 The community was established by English settlers in 1670 on the west bank of the Ashley River, a few miles northwest of the present city. It was soon chosen by Anthony Ashley-Cooper, one of the Lords Proprietors, to become a "great port towne", a destiny which the city fulfilled. By 1680, the settlement had grown, joined by others from England, Barbados, and Virginia, and relocated to its current peninsular location. The capital of the Carolina colony, Charleston was the center for further expansion and the southernmost point of English settlement during the late 1600s. 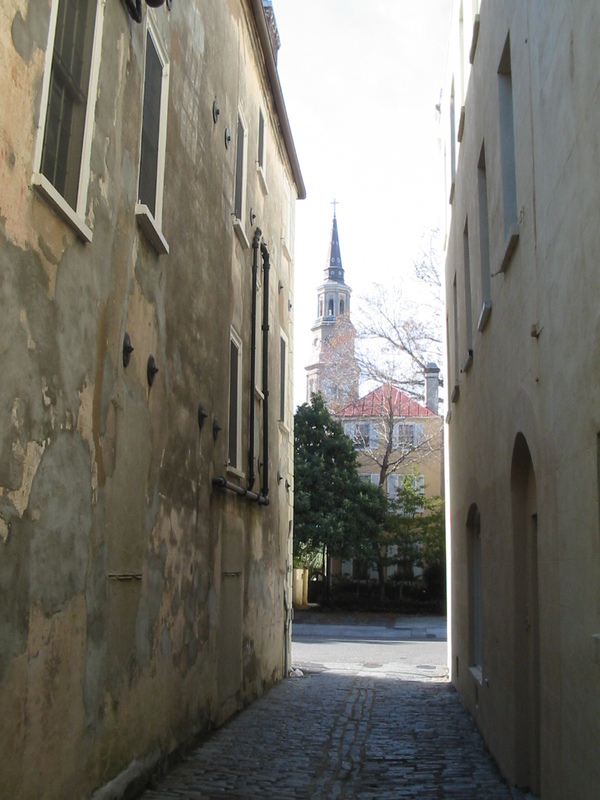 By the mid-18th century Charleston had become a bustling trade center, the hub of the Atlantic trade for the southern colonies, and the wealthiest and largest city south of Philadelphia. By 1770 it was the fourth largest port in the colonies, after only Boston, New York, and Philadelphia, with a population of 11,000, slightly more than half of that slaves. Rice and indigo had been successfully cultivated by slave-owning planters in the surrounding coastal low-country. Those and naval stores were exported in an extremely profitable shipping industry. It was the cultural and economic center of the South. As the relationship between the colonists and England deteriorated, Charleston became a focal point in the ensuing American Revolution. It was twice the target of British attacks. At every stage the British strategy assumed a large base of Loyalist supporters who would rally to the King given some military support. In the first half of the 19th century, South Carolinians became more devoted to the idea that state's rights were superior to the Federal government's authority. Buildings such as the Marine Hospital ignited controversy over the degree in which the Federal government should be involved in South Carolina's government, society, and commerce. During this period over 90 percent of Federal funding was generated from import duties, collected by custom houses such as the one in Charleston. On December 20, 1860, the South Carolina General Assembly made the state the first to ever secede from the Union. 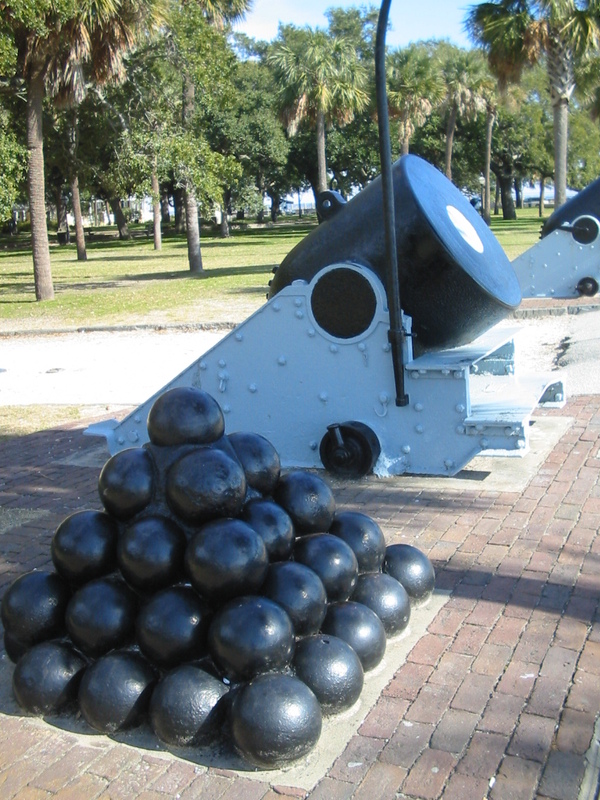 On January 9, 1861, Citadel cadets fired the first shots of the American Civil War when they opened fire on the Union ship Star of the West entering Charleston's harbor. On April 12, 1861, shore batteries under the command of General Pierre G. T. Beauregard opened fire on the Union-held Fort Sumter in the harbor. 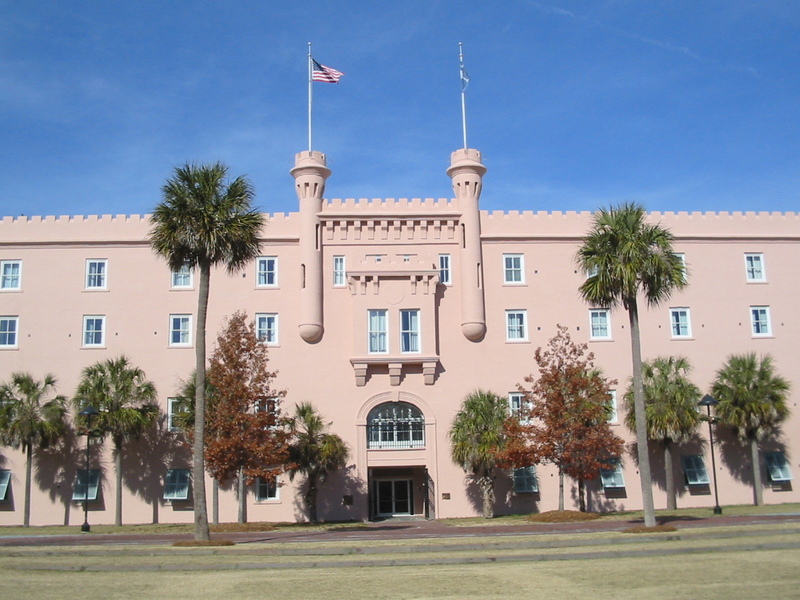 Although The Citadel continued to operate as an academy during the Civil War, cadets were made a part of the South Carolina military department along with the cadets from the Arsenal Academy in Columbia, to form the Battalion of State Cadets. Cadets from both institutions continued to aid the Confederate army by helping drill recruits, manufacture ammunition, protect arms depots, and guard Union prisoners. Charleston regained control of Fort Sumter, became the center for blockade running, and was the site of the first successful submarine warfare on February 17, 1864 when the H.L. Hunley made a daring night attack on the USS Housatonic. In 1865, Union troops moved into the city, and took control of many sites, such as the United States Arsenal, which the Confederate army had seized at the outbreak of the war. The population of the City of Charleston was estimated to be 118,492 in 2007, making it the second most populous city in South Carolina closely behind the state capital Columbia (the population for the whole Charleston Metropolitan Area is about 600,000). 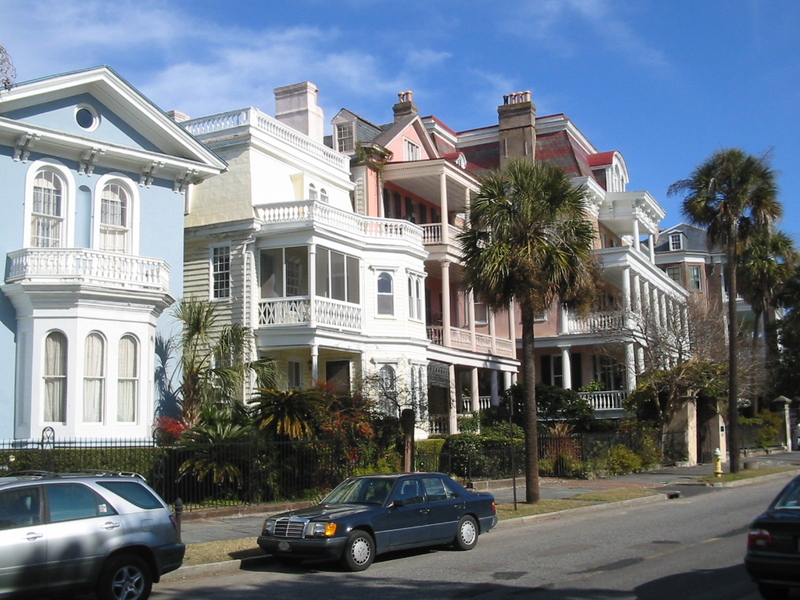 Current trends put Charleston as the fastest growing central city in South Carolina. 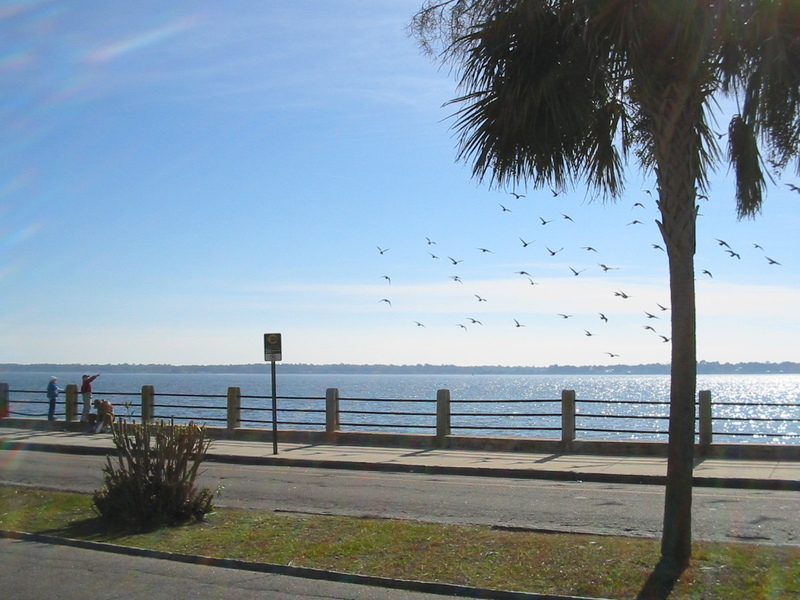 The city of Charleston is located just south of the mid-point of South Carolina's coastline, on a peninsula at the confluence of the Ashley and Cooper Rivers. America's most-published etiquette expert, Marjabelle Young Stewart, has recognized the city since 1995 as the "best-mannered" city in the U.S.Nowadays, Charleston is a major tourist destination, with a considerable number of luxury hotels, hotel chains, inns, and bed and breakfasts and a large number of award-winning restaurants and quality shopping. The city is well-known for its streets lined with grand live oaks draped with Spanish moss, and the ubiquity of the Cabbage Palmetto, which is the state tree of South Carolina. Along the waterfront, in an area known as Rainbow Row, are many beautiful and historic pastel-colored homes. The city is also an important port, boasting the second largest container seaport on the East Coast and the fourth largest container seaport in North America. Charleston is becoming a prime location for information technology jobs and corporations, most notably Blackbaud, Modulant, CSS, Benefitfocus, and Google. The aerospace industry is beginning to establish itself with the joint venture plant of Vought and Alenia Aeronautica, where two of the five sections of the Boeing 787 fuselage are fabricated and assembled. Charleston is the primary medical center for the eastern portion of the state. The city has several major hospitals located in the downtown area alone: Medical University of South Carolina Medical Center (MUSC), Ralph H. Johnson VA Medical Center, and Roper Hospital. MUSC is the state's first school of medicine, the largest medical university in the state, and the sixth oldest continually operating school of medicine in the United States. Charleston is served by Charleston International Airport, which is the busiest passenger airport in the state of South Carolina. The airport shares runways with the adjacent Charleston Air Force Base. 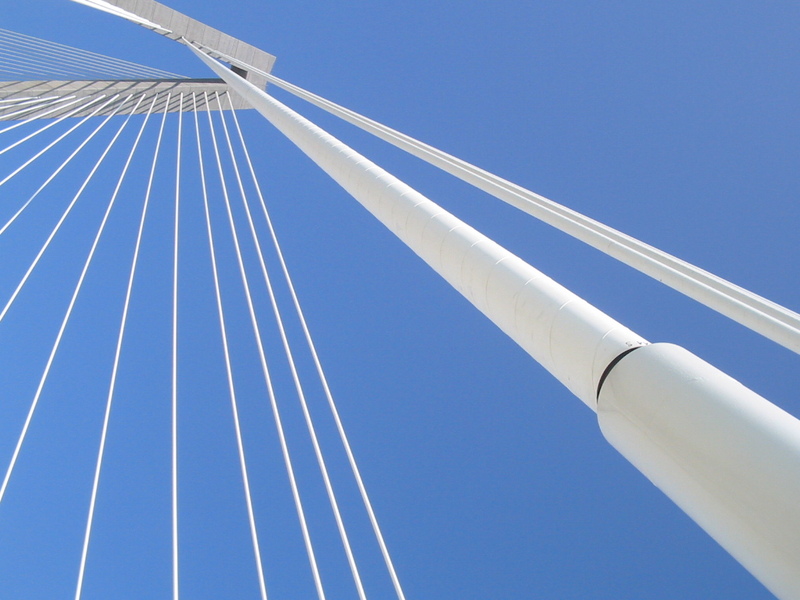 The Arthur Ravenel Jr. Bridge across the Cooper River (South Carolina) opened on July 16, 2005, and is the largest cable-stayed bridge in the Americas. The bridge links Mount Pleasant with downtown Charleston, and has eight lanes and a 12-foot lane shared by pedestrians and bicycles. It replaced the Grace Memorial Bridge (built in 1929) and the Silas N. Pearman Bridge (built in 1966). They were considered two of the more dangerous bridges in America and were demolished after the Ravenel Bridge opened. Charleston is well-known across the United States and beyond for its unique culture, which blends traditional southern American, English, French, and West African elements. Charleston annually hosts Spoleto Festival USA, a 17-day art festival featuring over 100 performances by individual artists in a variety of disciplines. Other notable festivals include the Cooper River Bridge Run and the MOJA Arts Festival. All in all, Charleston has a lengthy history as a historically significan and charming city in the United States. Throughout the times it has shown its importance and expressed its unique Southern culture. It is a friendly city with wonderful people, great architecture, fantastic restaurants, beaches and a very relaxed atmosphere.